Don’t let Mission Workshop fool you with it’s style – this jacket is tough and it will protect you in severe weather without the extra weight. It’s constructed from Swiss-made Schoeller c_change fabric which utilizes a heat reactive, waterproof-breathable membrane to regulate body temperature. This membrane provides complete protection from rain, wind, and snow. Full seam taping and a three-point adjustable hood will also help protect you in more sever weather. True to the classic military design, this version sports the traditional four-pocket in the front. There are zippered hand-warmer pockets and two internal pockets for your smartphone or other device. It also sports a rear cycling-style pocket. The first limited run was sold out but fear not, they will be making a comeback in the fall of 2013 – sign up to be notified. 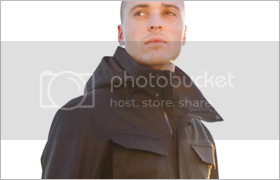 Check out the The Eiger Military Field Jacket now.